So what exactly is my car? 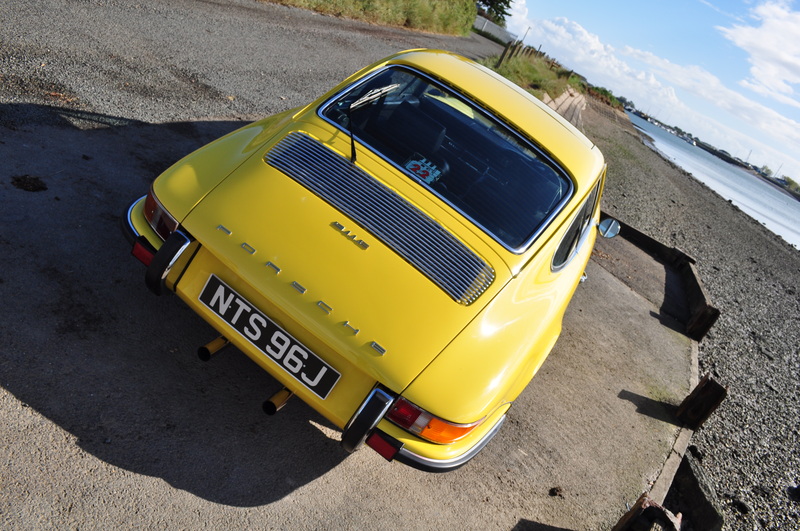 It’s a RHD 911 2.2E Coupe manufactured in Oct 1970 and first registered through AFN in Isleworth in Jan 1971. Back from 2010 bodywork repairs & panel readjustment at Sportwagen! I acquired it as a “project” in 1997 along with new wings, supposedly rebuilt engine, re-trimmed (leather) seats and other parts through Peter Andrews (Transend) who’d been tasked with finding me a 2.2 or 2.4 early 911 Coupe. The car went through a full bodywork rebuild in which classic areas of rot were addressed before the new panels were fitted and the car was given a complete respray. 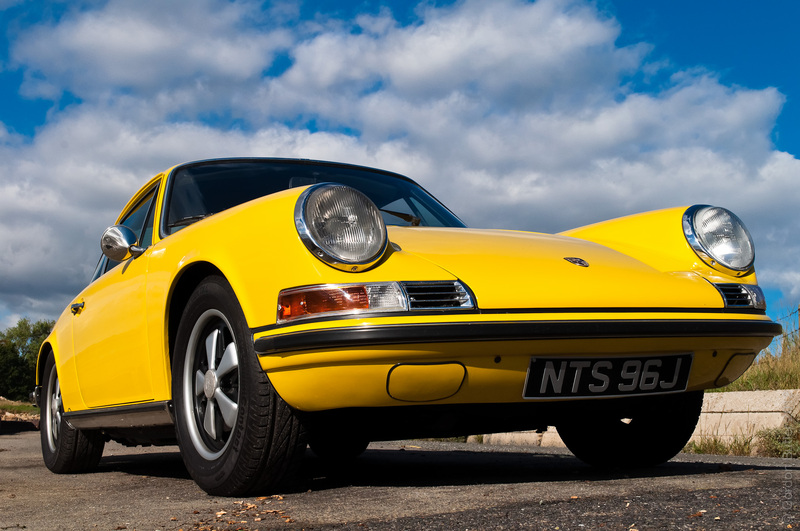 Absolute adherance to originality should have dictated reinstatement of the Olive Green colour scheme with which the car left the factory but I was less than keen on that colour and I opted for special order Zitron Gelb (Citron Yellow) finish instead. The engine that came with the car was actually a 2.2T unit with Zenith carbs which turned out to have pulled head studs. The clue was in the flames belching from the engine when it was fired-up. I replaced it with a second-hand period 2.2S MFI unit acquired again through Transend. I eventually persuaded the last rebuilder of the 2.2T engine to fix the pulled head studs and once done – it was then in a fit state to sell. The 2.2S engine came with its MFI and was running but with no information in terms of mileage. With the addition of SSI heat exchangers and initial set-up and maintenance by Jaz – the engine gave me 15 years service but it eventually received it’s long overdue rebuild at Jaz. The amount of engine work required during the Jaz rebuild shows how Porsche reliability can lead to them being their own worst enemy as engines will just keep on running even when they’re completely and utterly worn out. As the rebuild progressed – it also became clear that the engine consisted of a weird mix of E and S components which added to the challenge of getting it back together and getting it to run properly. Steve Winter at Jaz set the specification for the rebuild of 2.2S short stroke engine which included race pistons, special high-lift cams and other period modifications to take achievable power well north of the standard S figure of 180bhp to something like 210-215bhp i.e. 2.7RS territory! The gearbox is an original 901 5-speed dogleg unit which provided a couple of years service before receiving an extremely necessary full rebuild by Steve at Jaz. Apart from the long reach between first and second gears – it’s a lovely gearbox to use with an unbelievably light clutch. Dogleg 1st initially took some getting used to but I haven’t reversed rapidly into anyone from a standing start yet! The suspension that came with the car was a an odd coil-over set up rather than the original self levelling system used on the E model. This was replaced with a more conventional Bilstein set-up at the end of the racing season from one of Steve’s (Jaz) race cars. New vented brake discs were fitted and the standard front brake callipers were upgraded to the alloy S units. I wonder how many E’s still have the self-levelling Boge set-up? After use as my only car for a number of years – the car was starting to look a bit frilly around the bottom edges so it was treated to some underside repairs and bodywork realignment at Sportwagen. I simply couldn’t afford a bull bare metal re-spray but Bruce Cooper and his team worked miracles on the car and have preserved it for many more years of driving. Bruce had previously rescued the car when the rear torsion tube split when I was driving (with my family) up North for Christmas. Thankfully this occurred at slow speed after we exited a a car park but the sight of the rear of the car dropped right down onto top of the wheels on the day before Christmas Eve was a bit depressing. A quick call to Steve at Jaz just before they shut-up-shop for the Christmas break provided the sound advice to get the breakdown recovery service to onward transport the car to Sportwagen to cut out and replace the split torsion tube. The suspension and steering has more recently been completely rebuilt at Jaz. This included a meticulous refurbishment of the original steering rack which is no longer available for this model. Other improvement included new drop links, tie rods, bushes, shock absorbers, etc., etc., etc. The net result is that the car now foes where you point it and it sits squarely and firmly planted on the road which is how it should be. 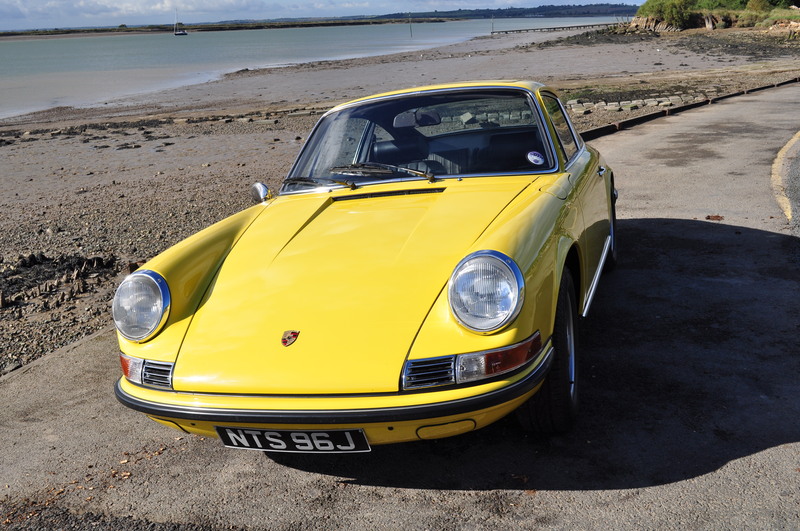 The original colour of the car was Olive Green (colour code 3939) but even Bruce at Sportwagen who’s normally a stickler for returning cars to the same colour they left the factory agreed that Zitron Gelb was a much better alternative – still very 70’s but less offensive/an acquired-taste! OK – so it’s not a matching numbers car but with the exception of a few necessary and/or sensible updates all of the modifications made to it are in line with those available at the time the car was new or nearly new. 911 2.2S Engine Rebuild – Part 14: Dizzy Aerated & Exhausted! 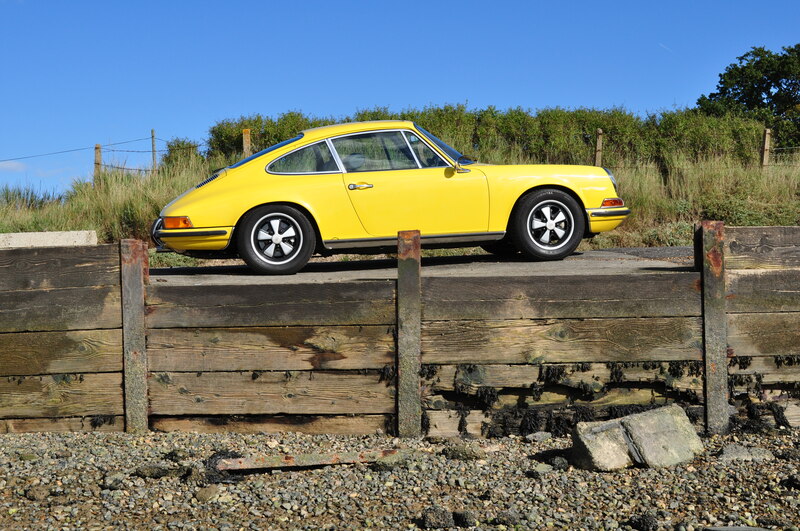 911 2.2S Engine Rebuild – Part 13: 911 Repossession Completed! 911 2.2S Engine Rebuild – Part 10.5: Part 11 Coming Soon – Honest!